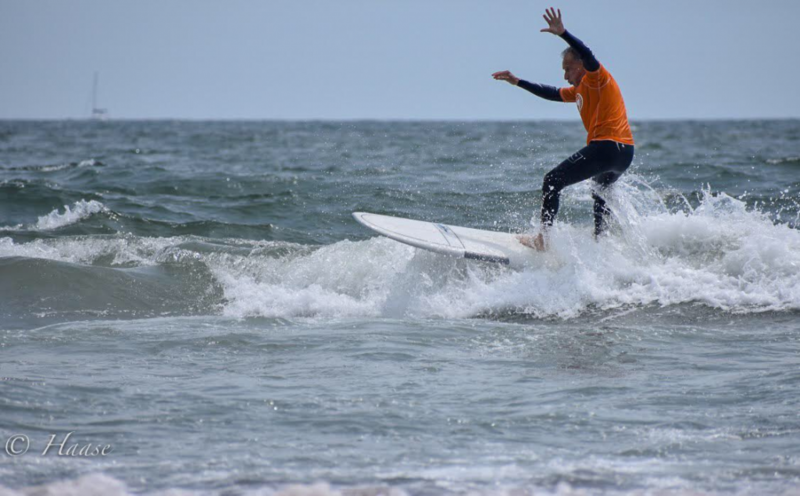 The main event featured some great surfing, as the Open Shortboard finalists hit the water as the winds switched to straight onshore. This made for choppy faces and more strategy, as sections began to close out down the line. While most of the riders paddled out for the big sets, Wakefield’s Page Hedde played it close to the inside, and it paid off. She picked off two nice backside rights that allowed her several snap backs, working the inside sections for big points. Second place Jayden Parry of Narragansett sat outside, finding two long rights to seal up that spot. Nantasket ace, Jaime Kelly grabbed the 3rdposition with one long left slide. 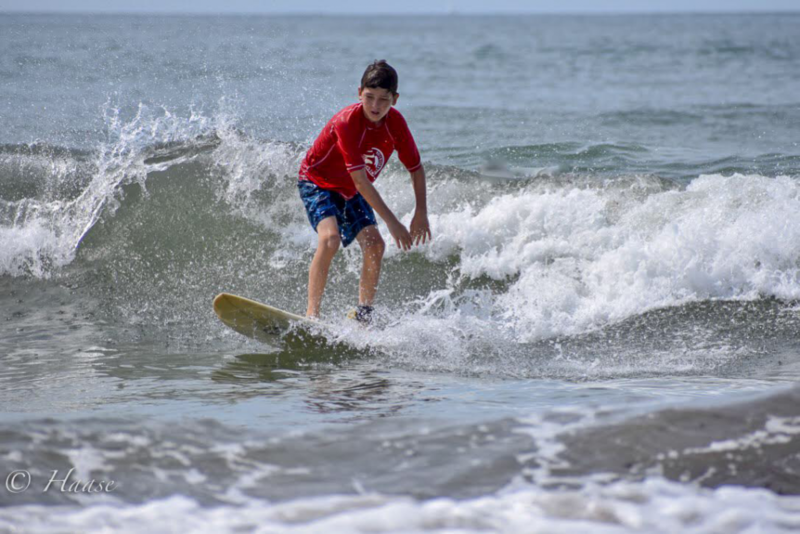 The youth events offered some heavy shredding, especially from newcomers. Liam Fitzgerald was outstanding in his debut in the Boy Under 12 Years Division, finding the best formed rights, and making the best of them. 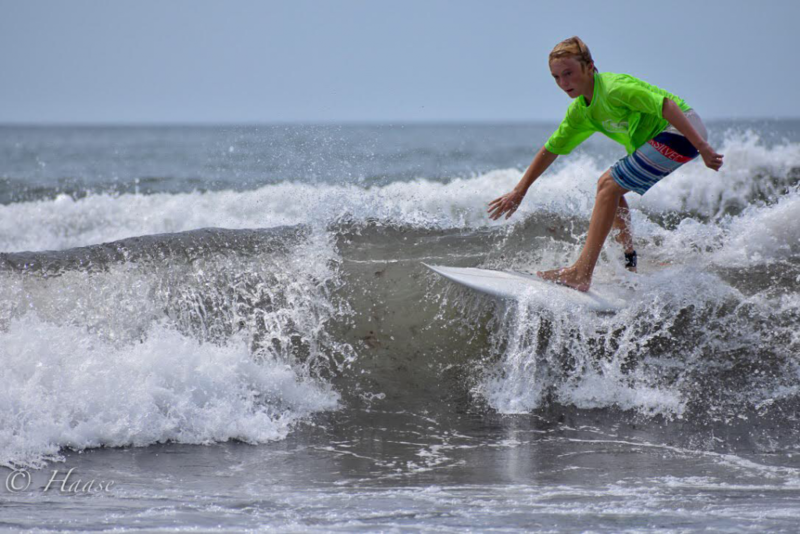 Ethan Foley tore up the Boys Under 16 Years Division, as he pulled off some heavy lip smacks, hard cutbacks, and power drives, to dominate a tough final heat. Men’s winner, Jaime Kelly finished up with the “Outstanding Wave” award for the event. He actually had the two best rides of the contest. 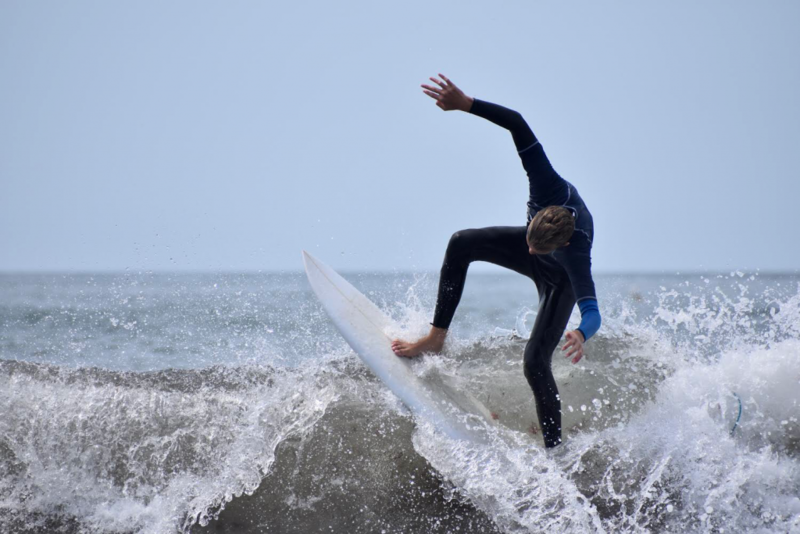 His first ride came in the Men’s Shortboard final, when he picked off a hollow left wall that reeled off across the entire contest area. He pulled off 5 lip smacks and drove through 3 sections for the highest point total of the contest. 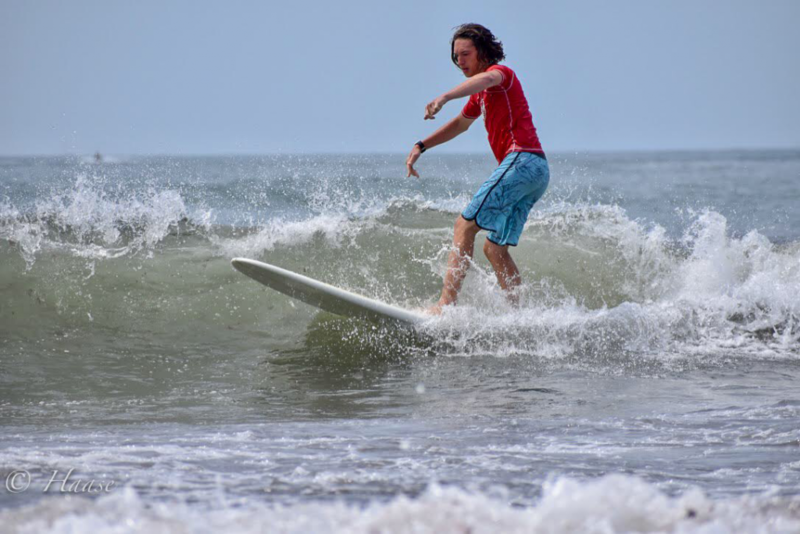 His second-place ride was during the Men’s Longboard heat, as he found another wave equally as good, and trimmed out across the entire surf zone on the nose. Westerly’s Sophia Martino continues to win, as she pumped her way through some right slides to win the Girls Under 16 Years final. Another set of newcomers in the female ranks ripped it up, as LouAnna Kelly and Annalise Kane took their respective titles in the Girls Under 12 Years and the Girls Under 14 Years finals. Below are pictures from the contest taken by Lisa Haase.